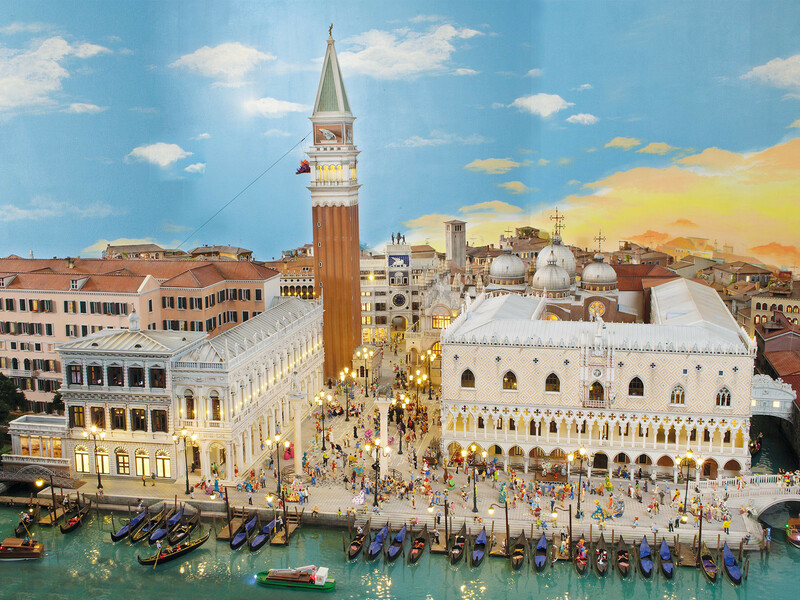 The Procuratie are probably the most elaborate building in Wunderland Venice with approximately 4,000 individual parts. On the north, south and west sides of St. Mark's Square, the famous Piazza is surrounded by the Procuratie. The Procuratie are three interconnected monumental buildings, which are historically divided into the so-called Old Procuratie (Procuratie Vecchie) and New Procuratie (Procuratie Nuove). 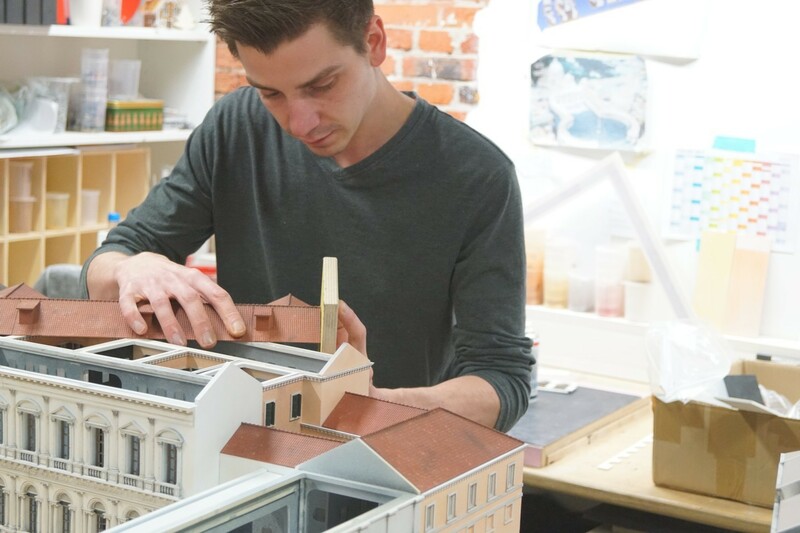 In Wunderland’s Venice, it fortunately did not take one Century to build per Procuratie, but you can’t really tell, since our model builders stayed true to the original version in every detail. The Procuratie are probably the most elaborate building to be seen in our Venice section, because they consist of 4000 individual parts. Work on this historical building took 34 weeks. By now it is surrounded by colorful life of St. Mark’s square. And the beauty stays alive by night, due to the elaborate illumination which is setting the scene.